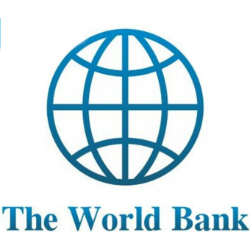 The World Bank has announced the launch of a pilot project aimed to improve the conditions and livelihoods of small-scale miners in Tanzania. The pilot program is intended to create a safer environment, increase the incomes of small-scale miners, generate economic growth for Tanzania and facilitate cooperation between Artisanal and Small-scale mining (ASM) and large-scale mining companies (LSM). According to the Tanzania Deputy Minister for Energy and Minerals, Stephen Masele, funding from the World Bank is currently being used to issue loans to small-scale miners through the TIB Development Bank Ltd.
“The World Bank has promised to release a total of USD 5 million this financial year as part of the plan to empower small scale miners,” he said. A senior mining specialist at the World Bank, Mamadou Barry, indicated that investment in the Tanzania mining sector is important given the significant role it plays in the development of the country and the creation of more than 1 million jobs through small-scale mining. “By investing in the livelihoods of small-scale miners we are strengthening the economy and national income levels,” he said.